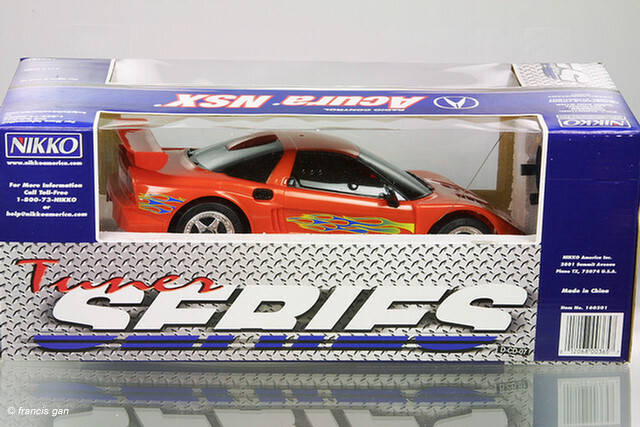 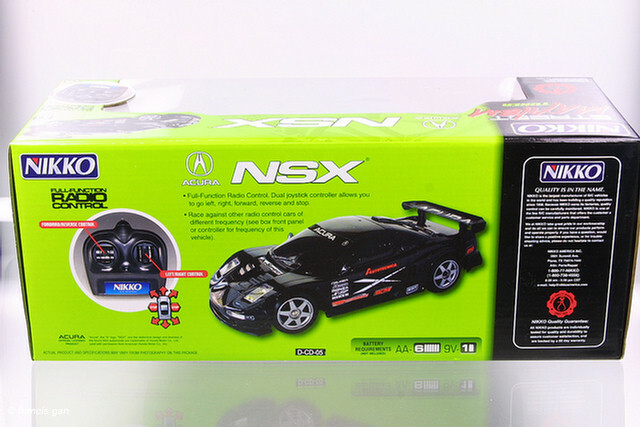 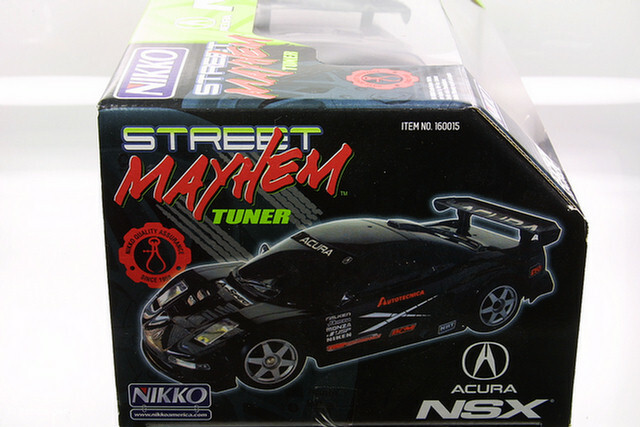 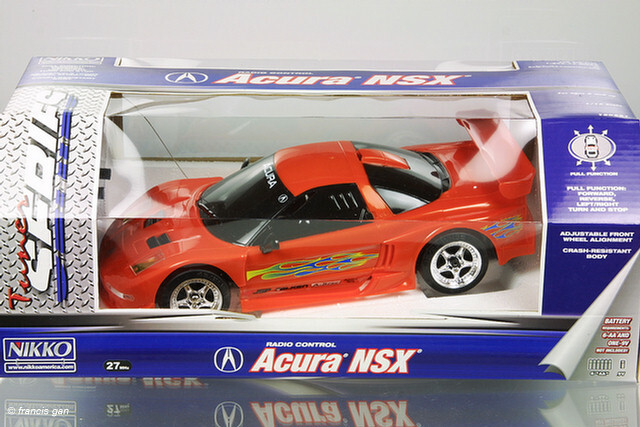 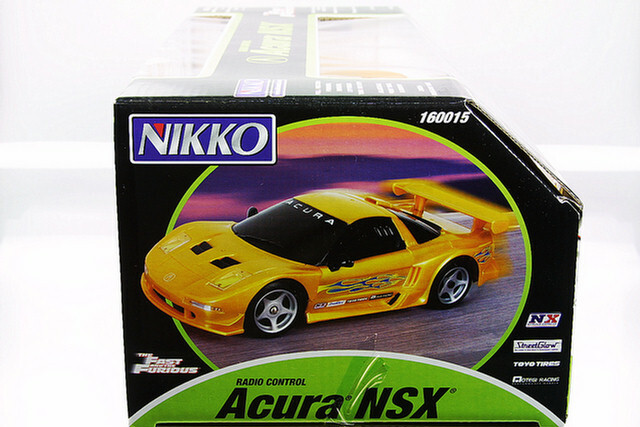 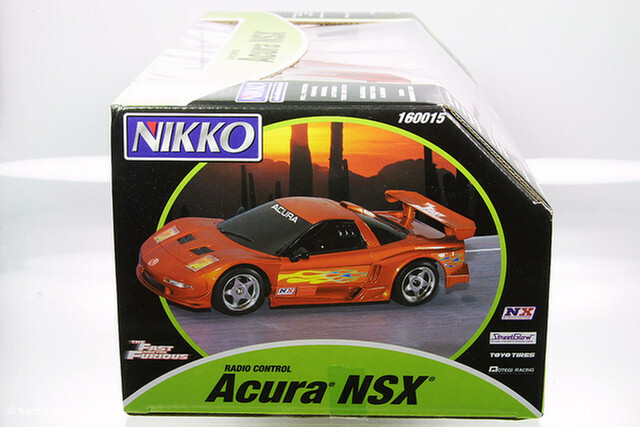 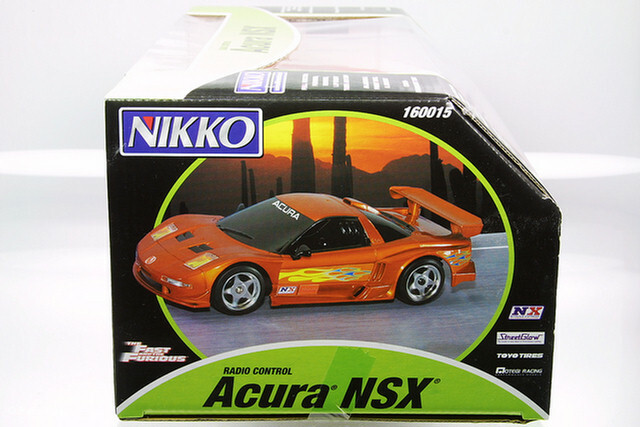 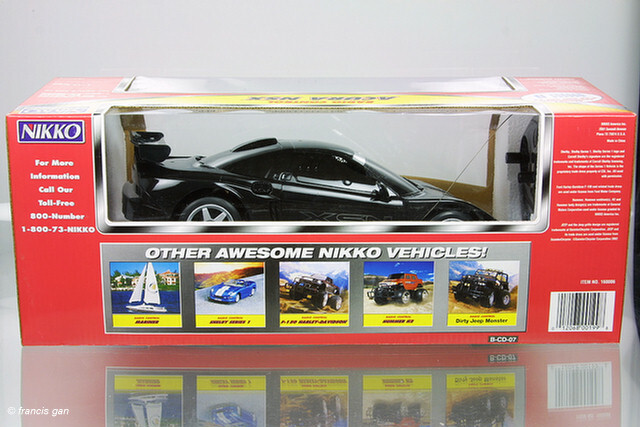 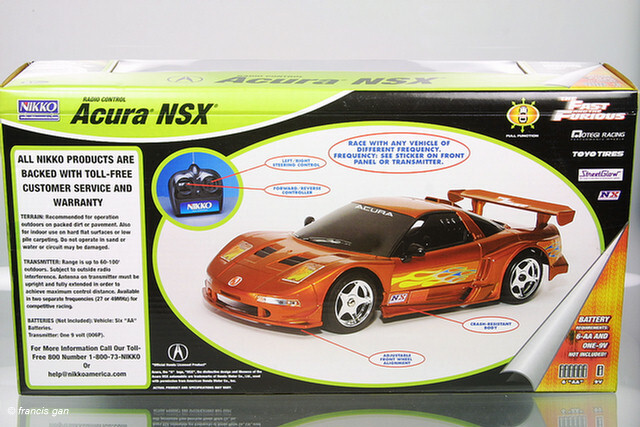 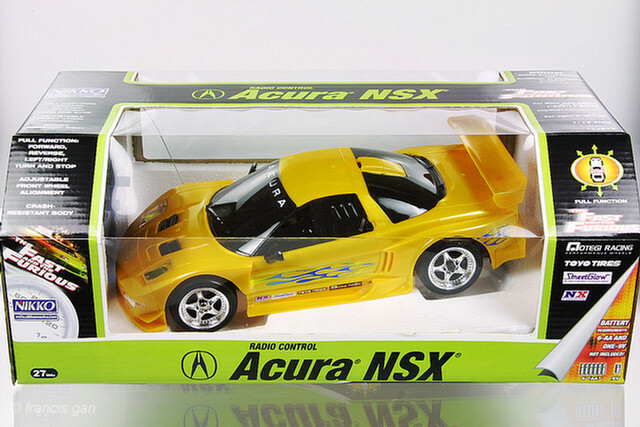 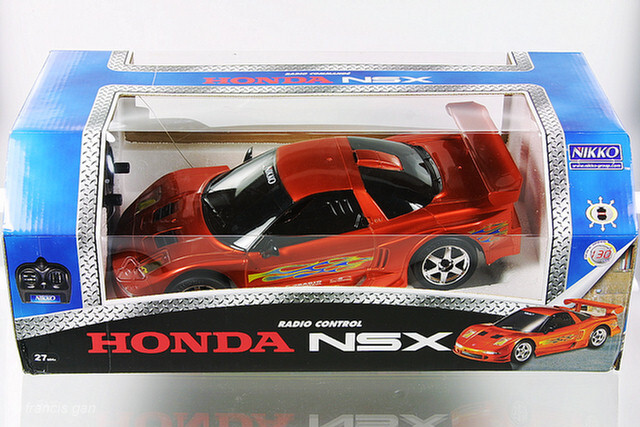 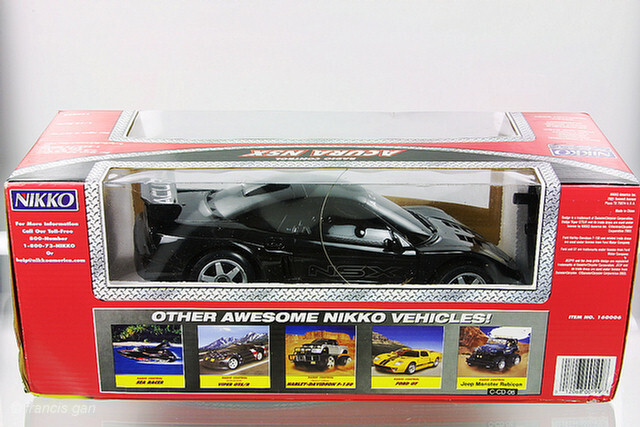 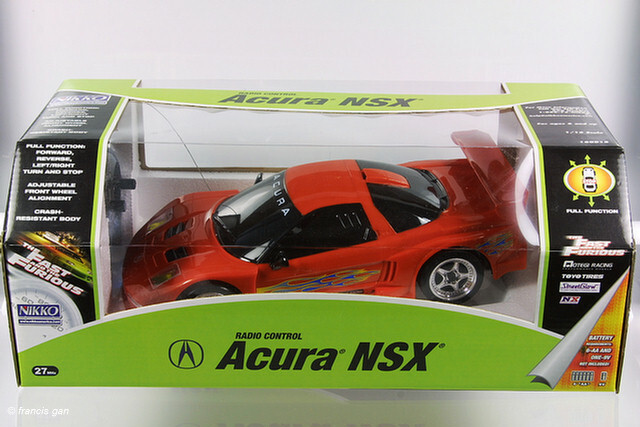 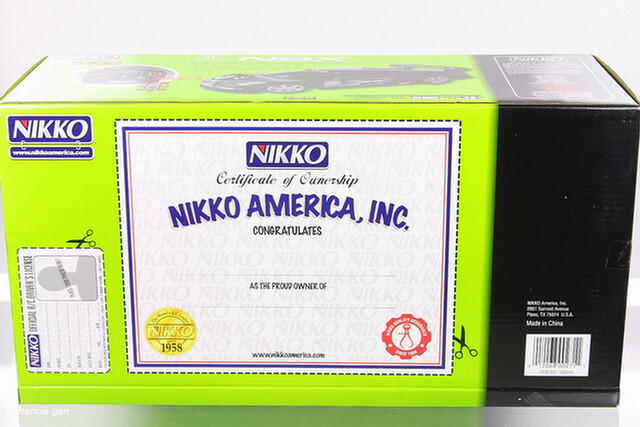 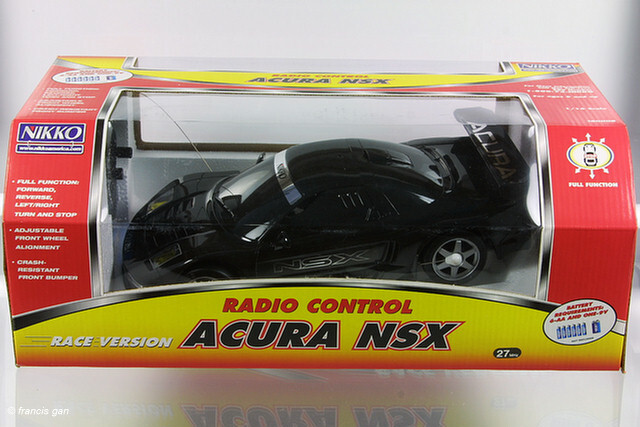 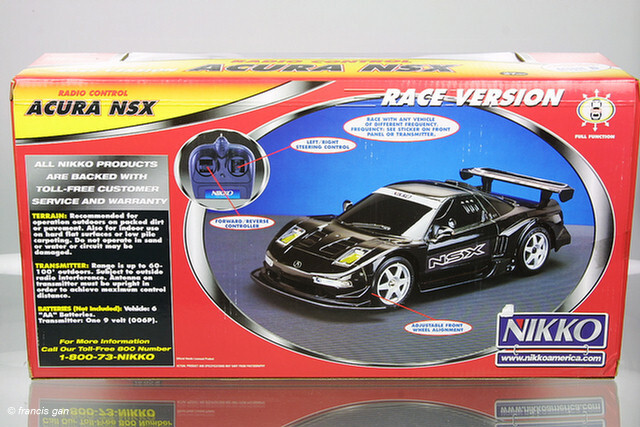 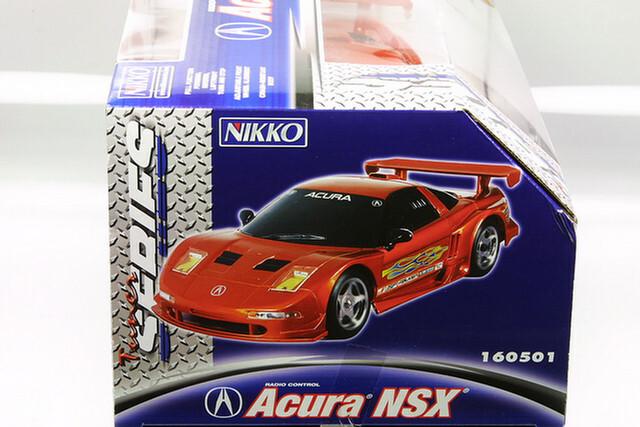 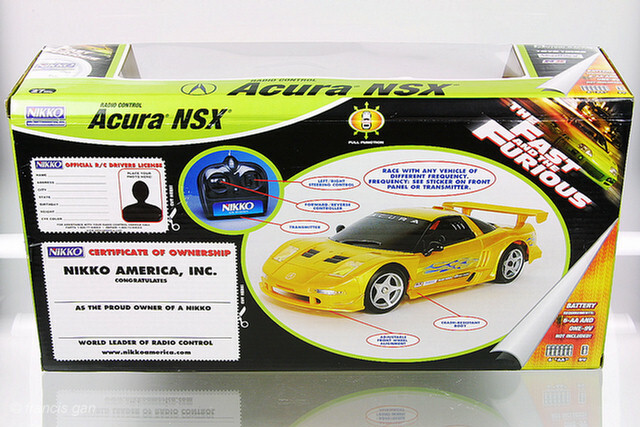 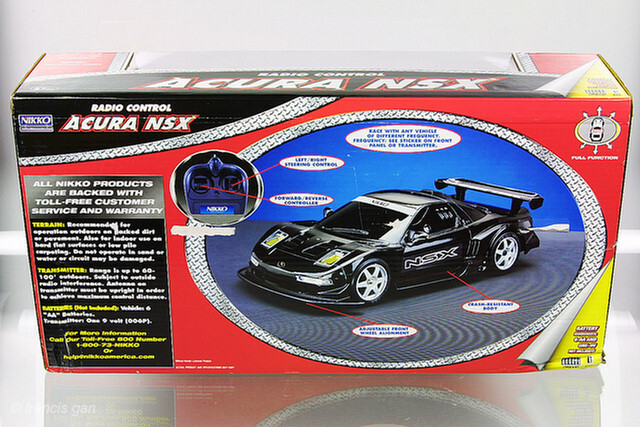 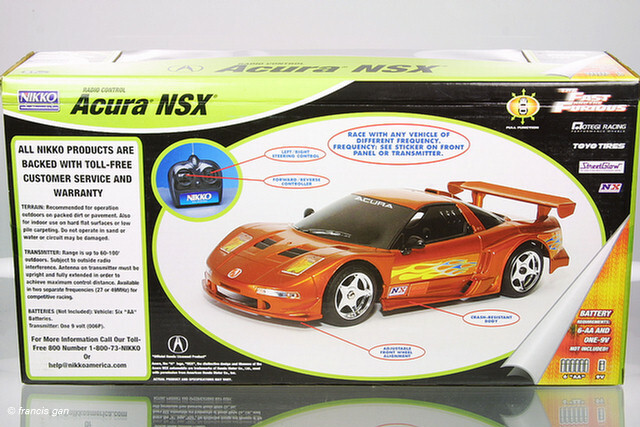 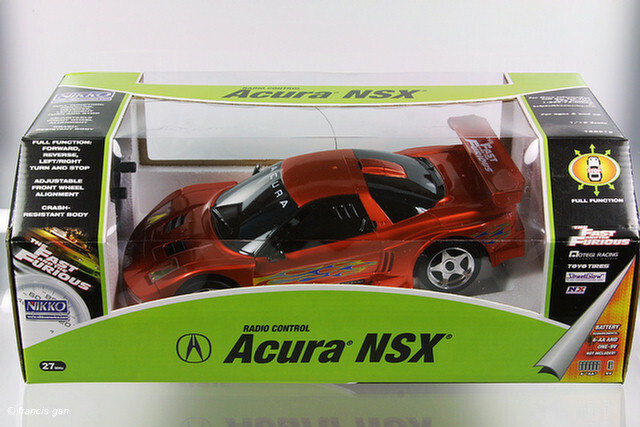 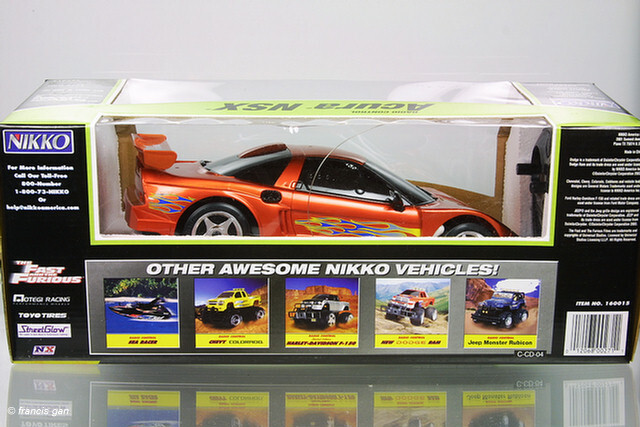 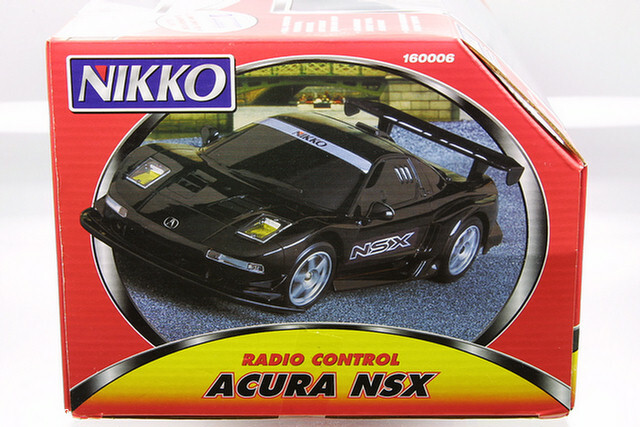 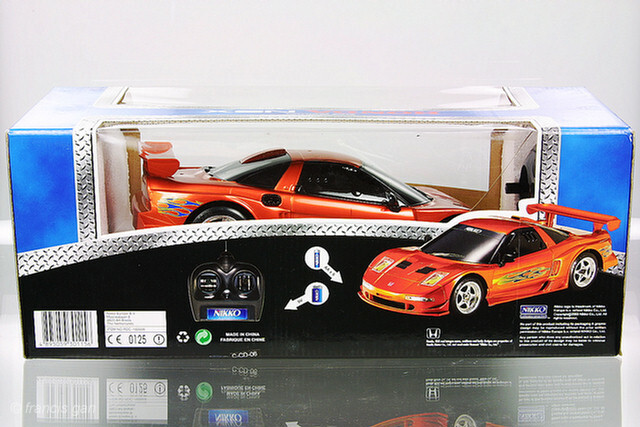 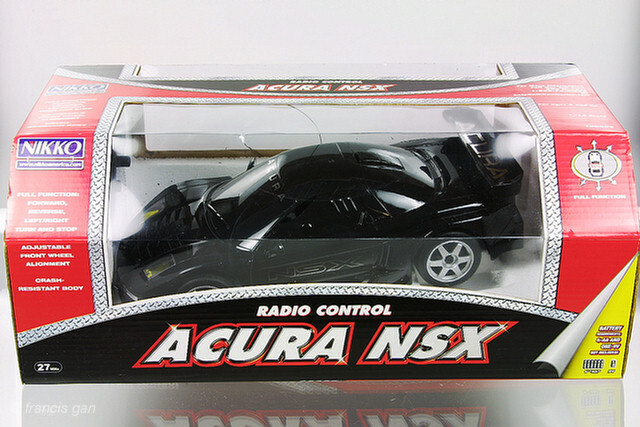 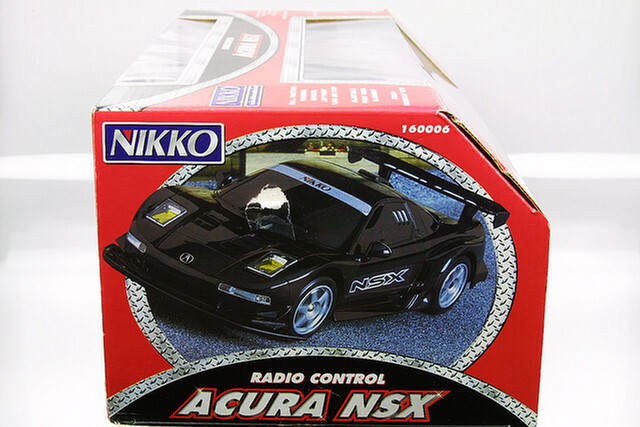 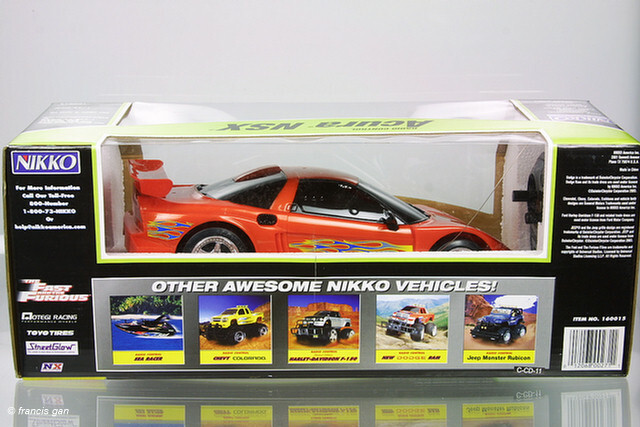 Nikko's 1:16 scale radio controlled NSX. 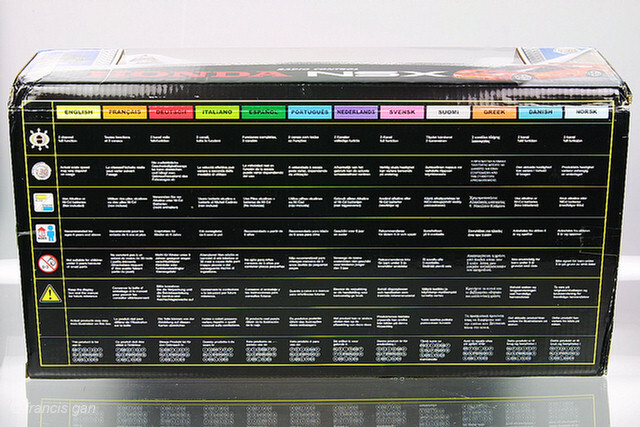 Black version in original red/yellow box. 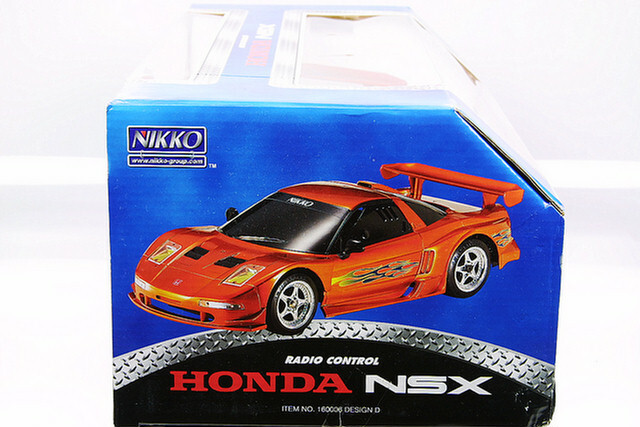 A Honda version in dark orange. 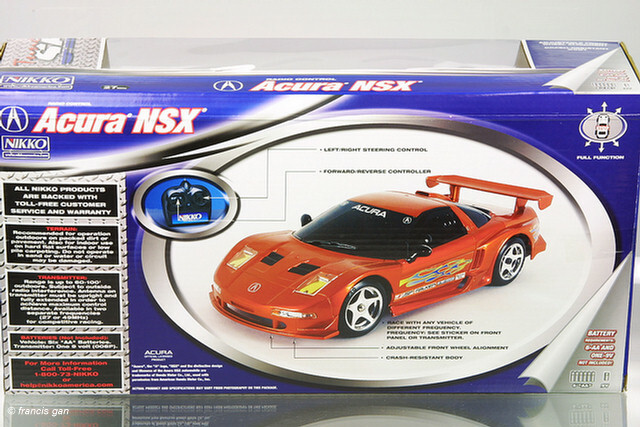 An Orange NSX in a more recent blue windowed box.